People usually protect external storage card in mobile devices with a password. However, it’s impossible to access the data inside the card if the password is lost. Recently, I shared with you a method which can be used to recover deleted SMS from mobile phones. Here is another related one, which deals with a memory card password. 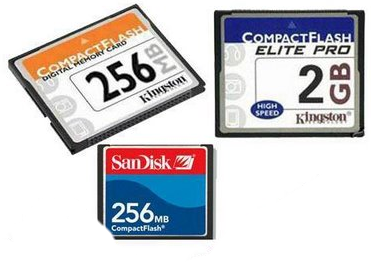 We can use the same software that we used in the above case to recover memory card password from mobile phones. This method may not work with new and Advanced mobile phones. Anyway give it a try. Method 1: Recover memory card password, using Fexplorer. As I said, we need to download Fexplorer software for this mobile hack. After installation, Browse to c:\system folder in your mobile phone. Here you would find a file named as mmcstore. This file is actually used to store memory card passwords in a mobile phone. Rename this file to mmcstore.txt and open with notepad. Now you will see the memory card password exactly as it is. Mobile manufactures are now aware of this trick, and nowadays they use better encryption methods to block access to passwords. The first method may not work in advanced Nokia handsets. Here we will use the remote lock feature for re-setting the password. To do this, go to your phones settings >Security >Phone and SIM> and then allow Remote lock. The password of your remote lock will be the password of your memory card. So if you want to change the memory card password, just send an SMS containing your remote lock message. One last thing you can do is backup everything to the desktop software supplied with mobile phone. Select to backup apps, MP3, settings, contacts and everything important. And then upgrade or downgrade its firmware and change password. Excellent info to recover memory card passwords from mobile phone. I know its excellent about hack into facebook account! Great ! I will gladly give my business in the future as well as tell others about their service. I was afraid the entire time that this was a scam, but right now I’m very satisfied with their help. I’ve not ever used facebook hacking password, but I read somewhere on the internet about . I think they are $200.00. I tried them to hack into my girl hotmail password. wow, I got the password 2 days after my order. RayaHari.com is very useful. i'm not able to install Fexplore in my mobile 🙁 i updated my nokia firmware & restarted my phone(N73) & it asked for memory card password which i never set earlier in my phone!!! Also i didn't find that remote lock option in phone and sim settings.please help me out….. I am using nokia e51. I have lost password of memory card i followed your instruction but i can’t get the password, so pls suggest me , how can i get the password of memory card . Thanx fnd. Keep it up. Plz help me my mmc needs a password which i didnt put it. I’m using nokia 7230 & wanna put password for my memory card. Please treat this as URGENT ! plz send me recover password memory card in computer. forget the memorycard passward,how to file from their. i forget my mobile memory card password how to recover? and in future i dont set the password then how i delete it. i am using nokia 5530. my cell phone got hanged and all my messages stored in the memory card are deleted..can i recover them?? ?plzz help its very urgent!! I am using nokia 3500. I have forgot password of memory card.so pls suggest me , how can i get the password of memory card . please send fexplorer software to this mail…..plz……brothers…. guys,u can recover password using only symbian mobs.u need to install fexplorer and following the path c/resource/mmcstore.rsc then try to do. hey. i have nokia n79 with a nokia memory card… i somehow forgot my password. how do i recover the data in it? Hi. I forgot my mmc password & even after i followed your instructions, i didn’t get that. 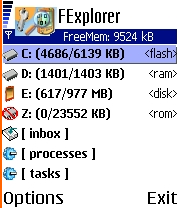 Neither the explorer shows mmcstore file nor there is any remotelock option in my phone (nokia 7610 )settings. Sir. Plz help me to crak the password as it is indeed urgent. I have troubles with my nokia 5230 too. When I receive allow remote message id does not work. The password does not get changed. What is the problem? hi i have 5233 i find remote phone lock in my phone. then how i crack my memory card password please tell me. juss go to a mobile shop.. they will unlock for fifty rupees……. How Unlock N2700c MEMORY CARD? I want my memorycard passward of 2730cnokia mobile which i forget. friend does it also work for nokia 5230 ? i have nokia 5233 & i have forgot my password for memory card. i forgot my memory card password….. can you send that recover mmc s/w to my id.plz. i’m not able to install Fexplore in my mobile i gave my phone in nokia center for overcoming of the problem of vibretting but after recieving my phone nokia 2690 i put in mobile & it asked for memory card password which i never set earlier in my phone!!! Also i didn’t find that remote lock option in phone and sim settings.please help me out…..
Hi… I downloaded the Fexplorer in to my nokia 6303 Classic phone but i did not find any mmcstore file their.. pls help me out thank you. had rest the os for 7610 & now its asking for memory card password.? how do i get the password for this? tang ina nyo! !mga gag0! !mga manloloko!! !PAk u!! Hi, i have nokia 5800 and i have forgot my password for memory card too. I was download fexplorer but my tel dont open this file. Plzzzz someone help mee. I searching and searching this fexplorer but my tel dont accept.